Leicester Explosion plot Thickens as suspect Named! Police Officers were seen inside and outside the house of Aram Kurd, 33, a mile from the scene of the blast, hours after they revealed three men in their thirties had been arrested. Police outside the property refused to comment on what they were looking for at the house, or whether Mr Kurd was one of the men arrested. None of the house's residents were present during the search. 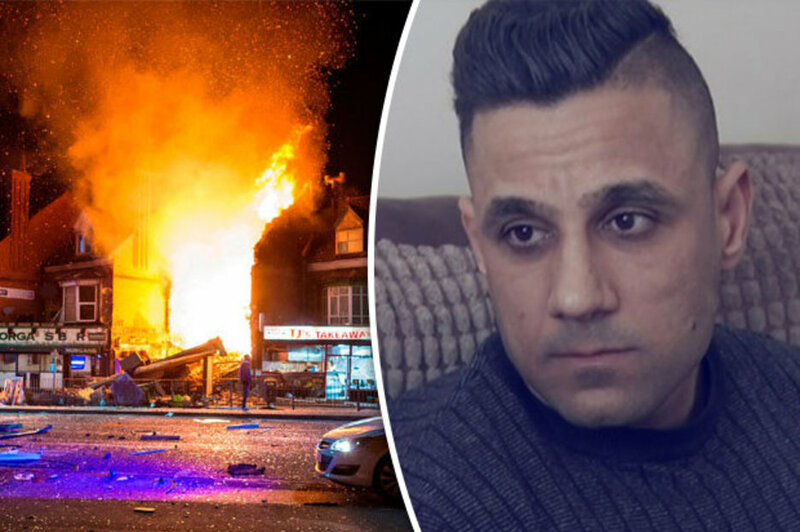 Kurd, who describes himself on facebook as a security worker and translator, was in the shop during the explosion working, and said how he was trapped in the rubble narrowly avoiding serious injury. Read: "Theresa the Appeaser strikes again"
Read: "Shocking report into British taxpayer funded ISLAMIC charities"